No other six sigma Chicago training entity in the Windy City has actually gone on to offer both the first two weeks of the Green Belts and Black Belts together at the same time – they have typically tended to have separate timelines. Of course, there is no doubt that doing so offers so many advantages especially the fact that since folks pursuing these two belts can train together, organizations themselves get a major reprieve from inflexibility that otherwise ends up becoming the norm. Another major advantage to keep in mind would be the fact that 6Sigma.com also offers a variety of onsite Six Sigma Champion leadership courses which organizations keen on implementing six sigma principles can particularly benefit from. You may also call the hotel directly at +1 (630) 782-6300 and reference 6Sigma group. 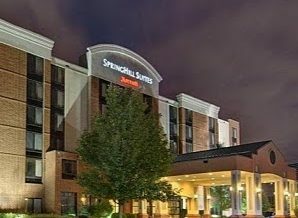 Welcome to the Spring Hill Suites Elmhurst Hotel! 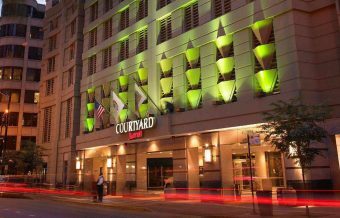 Our Chicago Elmhurst hotel places you in the center of it all. Situated just off I-290, this Oak Brook area hotel provides easy access to the Illinois Tollway and is 13 miles west of Chicago, 8 miles from O’Hare International Airport, and 14 miles from Schaumburg. We’re also surrounded by the suburbs of Bensenville, Addison, Villa Park, Northlake, Melrose Park, Wood Dale and Oak Brook. To help you explore, our hotel offers complimentary local shuttle service in the Elmhurst Area ask the front desk agent for availability. Within a short distance, you can enjoy casual or fine dining, mall shopping, and acclaimed museums, parks, library and college. Other fun local activities include jogging paths, biking, hiking and miniature golf. Room rates for each week of training in Downtown are listed below. You may also call the hotel directly at +1 (312) 329-2500 and reference 6Sigma group.